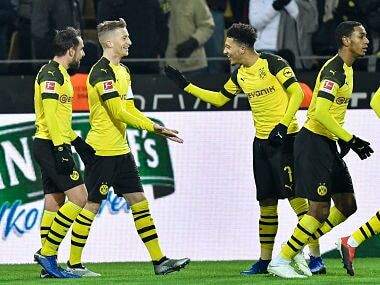 Berlin: Paco Alcacer and Marco Reus continued their hot scoring form to propel Borussia Dortmund to a 2-1 home victory over Werder Bremen that extended their lead at the top of the Bundesliga. Dortmund could have gone 1-0 up in the seventh minute after Alcacer chipped the goalkeeper only for Davy Klaassen to intervene just before the ball crossed the line. Remarkably, it was Alcacer's first shot on target to be saved since his arrival in Dortmund. Dortmund fans didn't have to wait long to see Alcacer get on the scoresheet with the Spaniard heading a Reus free-kick past Bremen keeper Jiri Pavlenka in the 19th minute. It was his 11th goal of the season, most in the Bundesliga. Reus is tied for second. He hit his 10th when he doubled the Dortmund lead 10 minutes later. He converted an expert assist from Jadon Sancho by skidding a low shot inside the left post. Bremen fought back 10 minutes from halftime, with Max Kruse's shot from outside of the box gliding over the outstretched arms of Dortmund keeper Roman Burki. Earlier, Bayern Munich continued their recent run of form, easing to a 4-0 win away at Hannover 96. The Bavarians led early after Joshua Kimmich hit a second-minute volley to convert an awkward-looking flick from Thomas Muller. Muller had a frustrating night in front of goal, missing several chances in his 300th Bundesliga game for the club. 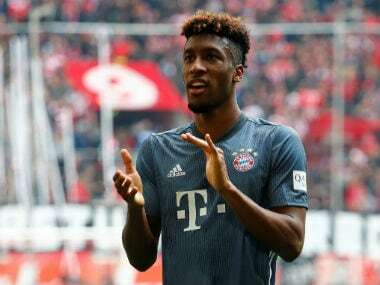 Bayern doubled their lead in the 29th minute when David Alaba rocketed a strike into the top of the goal which threatened to tear the net from the woodwork. Interviewed after the match, Alaba said nonchalantly "Yeah, I struck it pretty well." Ten minutes later, Kimmich floated a perfectly-weighted cross into the path of Robert Lewandowski who headed his 10th goal of the season. Hanover sit dead last with 10 points from 15 games. "We can say today was a top match," Mueller said. 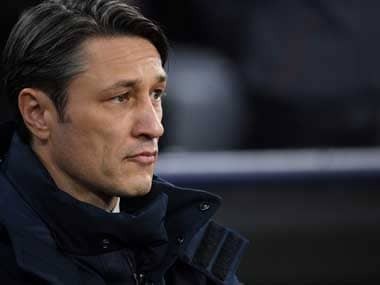 Pirmin Schwegler said Bayern's win was a warning to the rest of the league that the real Bayern are back. "The Lamborghini was full of gas today," said the Hanover midfielder. Elsewhere, Borussia Moenchengladbach, who started the day in second drew 0-0 at wasteful Hoffenheim. The home team dominated throughout, racking up 22 shots to four for the visitors, but were unable to convert. Hertha took the lead in the 38th minute through Max Mittelstadt, before Gomez stretched out a leg to tap it into the bottom left corner in the 64th minute. Fortuna Duesseldorf improved their chances of avoiding the drop with a 2-0 home win over Freiburg thanks to two goals from Kaan Ayhan.